Product code: ES3417 Categories: Sold Items, Sold Rings. Art Deco rings are always so popular thanks to the wonderful designs that were created from the 1920’s to the 1940’s and here is a truly stunning Art Deco ring set with a large aquamarine and highlighted with both sapphires and diamonds in the most divine setting. All hand made in platinum in the 1920’s, platinum is such a wonderful pure metal that has the ability to retain its pure white colour and have wonderful fine and intricate detail while all the while keeping its strength secure to hold the gemstones. 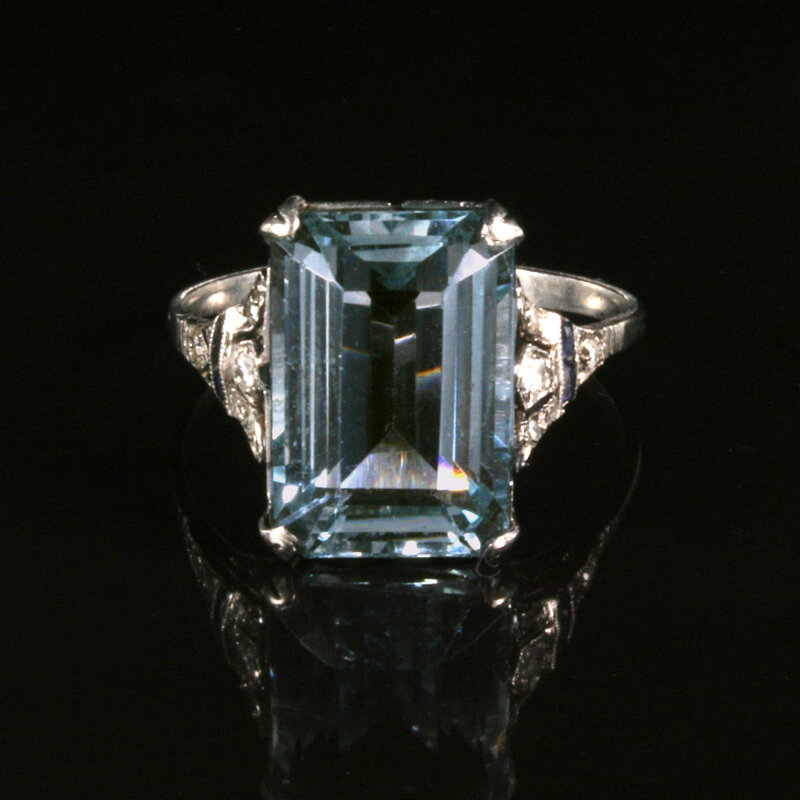 The emerald cut aquamarine is the pièce de résistance of this ring, and has such a wonderful pure blue colour and measures 7.80 carats in size. Being claw set allows so much natural light to enter throughout the stone and really makes it look wonderful day or night. 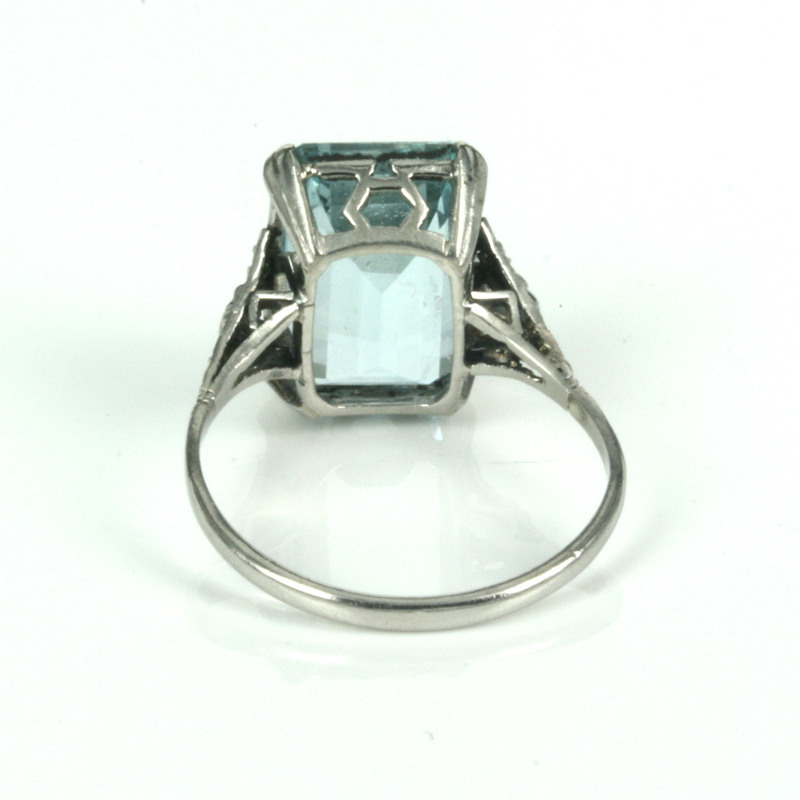 On the side of the aquamarine is the fine quality of craftsmanship that is so often found in genuine hand made rings from the Art Deco period. Each side is set with 3 diamonds, then two sapphire with a further diamond at the end to finish it off and the sapphires total 0.06 carats and the diamonds 0.08 carats and the way they are set will have you looking at the side of this ring just as much as from the top. 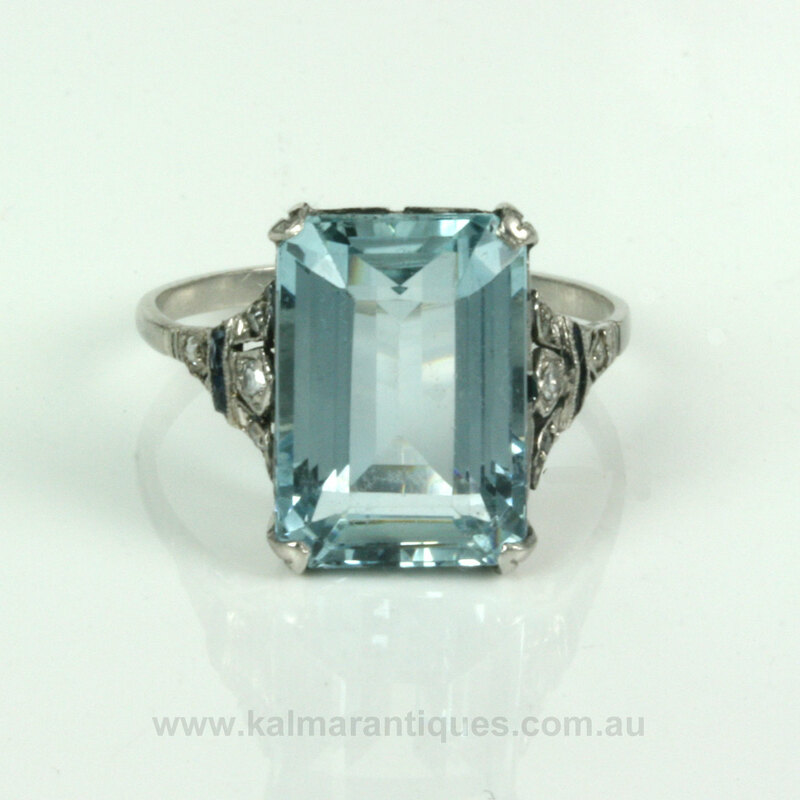 Art Deco rings are ones that will always be admired for their elegance and craftsmanship, and this aquamarine Art Deco ring will certainly be admired and commented on every single time that it is worn.